If you are searching for best Ayurvedic skin care tips to cure health and skin problems with natural herbs and home remedies, here are7 tips for you. It will help you to glow your skin in a healthy way. Who doesn't want a flawless skin that is glowing and free of all kinds of problems such as pimples, wrinkles, scars and dark patches? Who doesn't want to look perfect irrespective of the colour and complexion? The answer is nobody. In fact, people are so much concerned about their skin that it drives a multi-billion dollar industry of cosmetics all around the globe. But the products such as Foundations, day-creams, lotions, correctors, skin toners, moisturizers and lot of other things the names of which are unknown to the common people; all of them leave the skin more damaged. Hence people prefer the better and natural Ayurvedic Treatments for skin that actually cleanses the skin and imparts a healthy glow to it. Read some really beneficial Ayurvedic Skin Care Tips for Healthy and Glowing Skin and keep glowing. Give your skin and body a thorough cleanse every day with a glass of warm water containing one tablespoon of honey and one lemon (juice). Drinking this natural detoxifier daily reduces the toxin levels of the body and cleanses the system completely. These considered as one of the main ayurvedic skin care tips for the healthy and glowing skin. A completely clean digestive system, in turn, imparts a healthy glow to the skin. It is important to get rid of the dead skin regularly from the face and all the body parts. The deposition of the dead skin can make the skin appear dry and flaky. 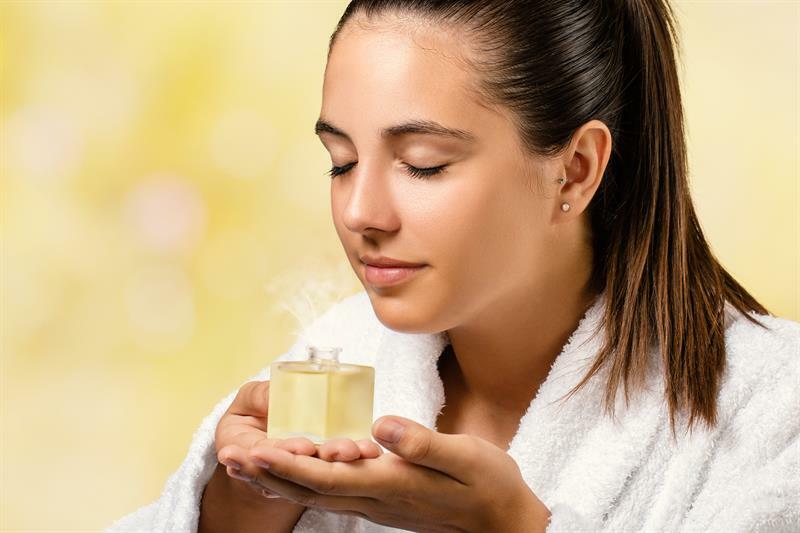 Go for natural Ayurvedic beauty treatments or the natural ayurvedic skin care tips such as dry powder massage and body scrubbing with tree bark etc. to get rid of the dead skin cells. However, one should take care that such Ayurvedic Beauty Treatments should be taken from the experts so as to avoid any reactions or chafing from ayurvedic skin care products. Another one of the very effective Ayurvedic treatments for a healthy glowing skin is the Milk Bath. The raw or unpasteurized milk is applied to the body and gently massaged with soft circular motions of the hands. The milk is allowed to dry on its own. After it is completely dried, the skin is washed with cold water and patted dry. The same process can also be done for the full body for complete skin rejuvenation. Application of pulps of citrus fruits and massaging them gently or the powders derived from them is another Ayurvedic skin care tips for the healthy and glowing skin. The citrus fruits are very good natural cleansers that dissolve the fatty deposits on the skin and cleans the pores. Regular use leads to complete riddance from the pimples and zits. Since ages, the grandmothers have been suggesting the ladies apply turmeric and chickpea flour paste on the skin to give it a heavenly glow. This is called as UBATAN in the Hindi Language and is one of the most effective Ayurvedic beauty Treatment for Skin. The Turmeric itself is antifungal and cleanses the skin curing the other skin problems side by side. The turmeric and other such masks come under a particular category of the Ayurvedic Beauty Treatments called as the Lepam. There are a lot of pastes and packs that are relevant for different conditions and are applied by the experts. Yes, the heavenly liquid is really a magic potion as far as the healthy and glowing skin is concerned. Drinking water generously all through the day cleans and purifies the digestive system and boosts the immune system as well. When the digestion is good, the skin glows from inside and thus, the water is the best and the cheapest ayurvedic skin care treatment for the human skin. Finally, the massage is a wonderful Ayurvedic Skin Treatment that offers gentle scraping of the dead skin and nourishes all the underlying layers. Ayurvedic Skin Massage is done using a variety of oils such as lavender, jasmine, mustard, Apricot and Sesame Seed Oil etc. In fact, the expert Ayurvedic massage has the potential for complete skin rejuvenation and is thus the best treatment that everybody swears by.